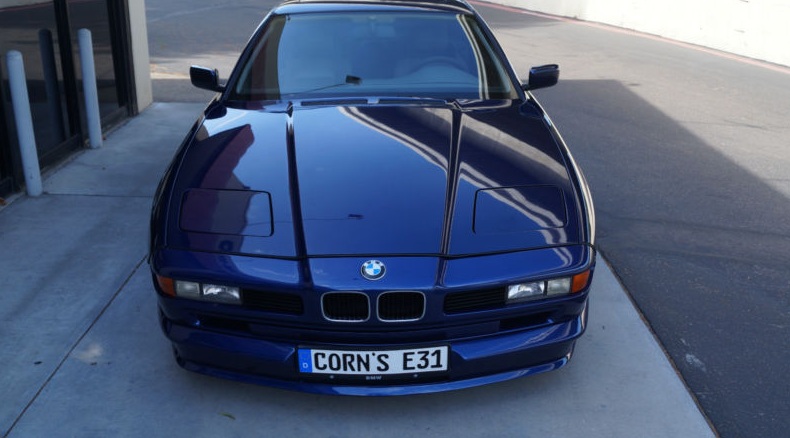 A pertinent point that may explain some of the details on this car is that the seller is named Cornelius. 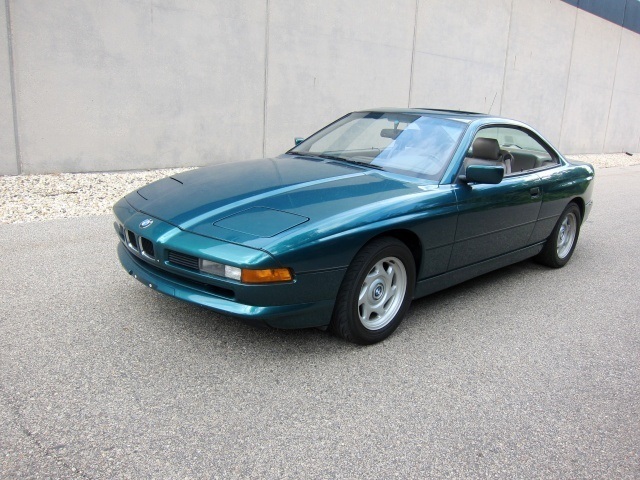 While it’s not the highly sought-after CSi, it still possesses a lovely BMW V12. 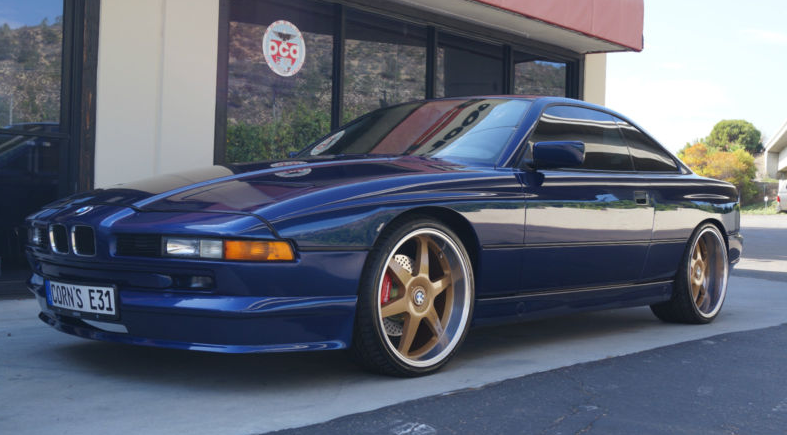 I was going to call into question the overall styling, but it’s really just the large gold wheels that polarize potential buyers. 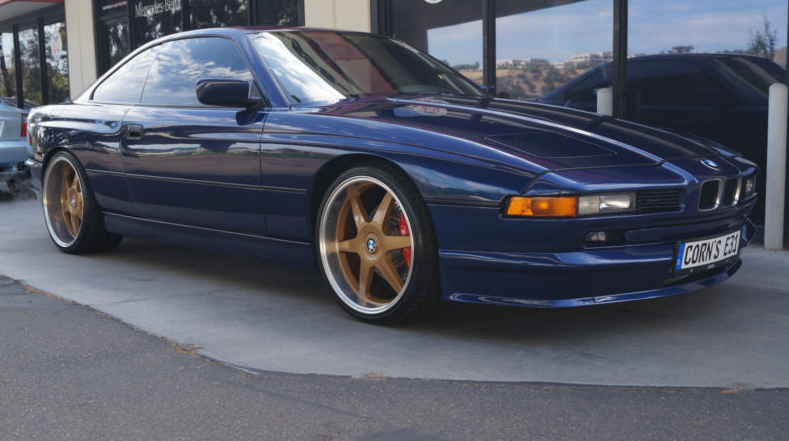 The repaint in its original color is gorgeous, and on stock wheels it would just be a fantastic E31. 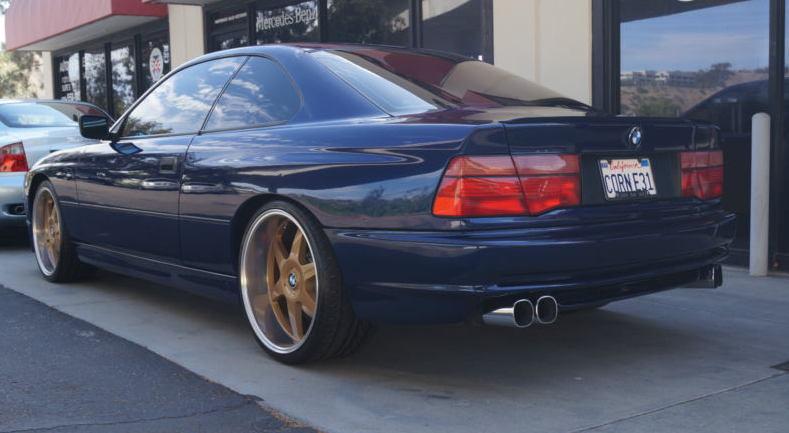 The wheels are a pleasing design, you’d just have to be a gold-rims kind of guy or gal. 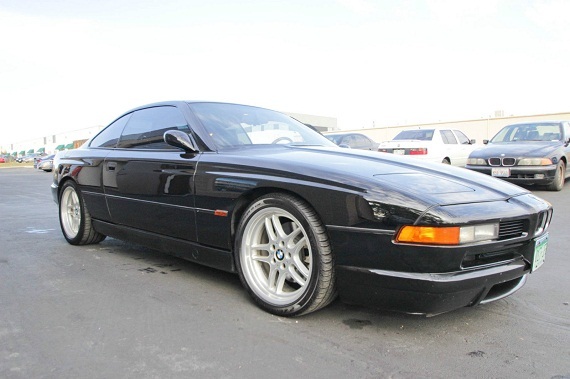 This 8er really has been given the royal treatment though, with few issues or aging parts left unturned. 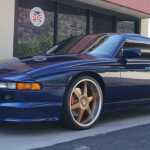 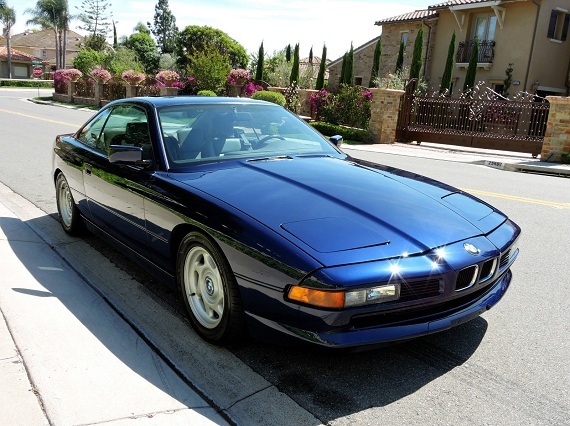 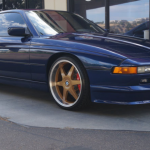 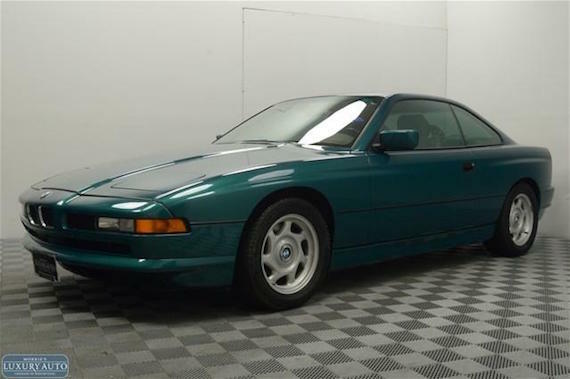 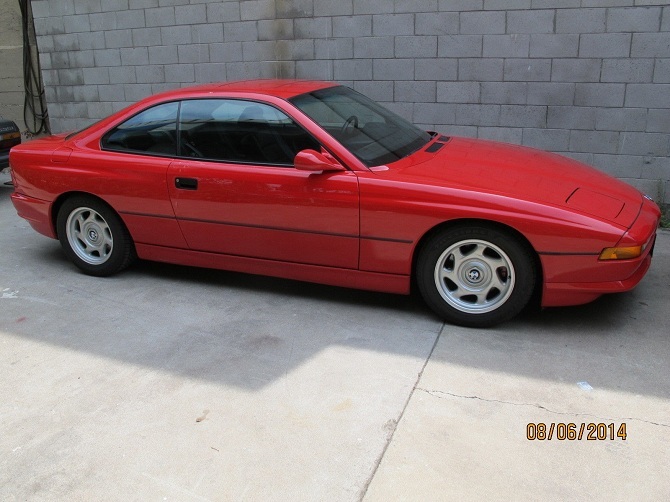 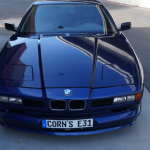 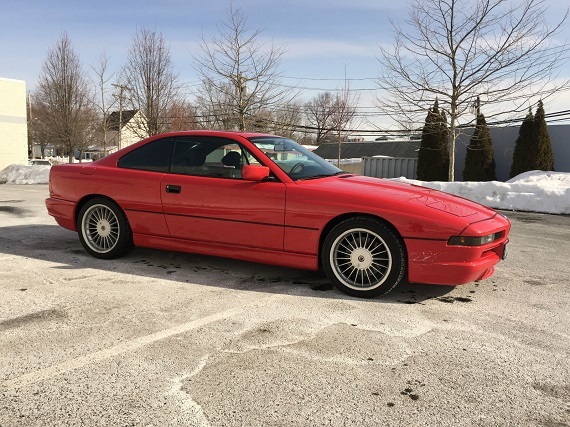 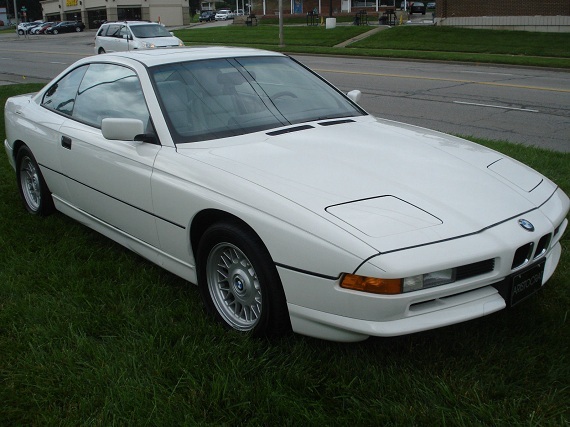 100% FULLY RESTORED BMW 850I, PLEASE CALL CORNELIUS WITH ANY QUESTIONS. 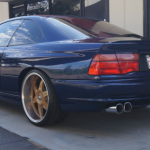 THIS CAR HAS TO MUCH TO LIST YOU WILL HAVE TO CONTACT ME IF YOU ARE SERIOUS BUYER. 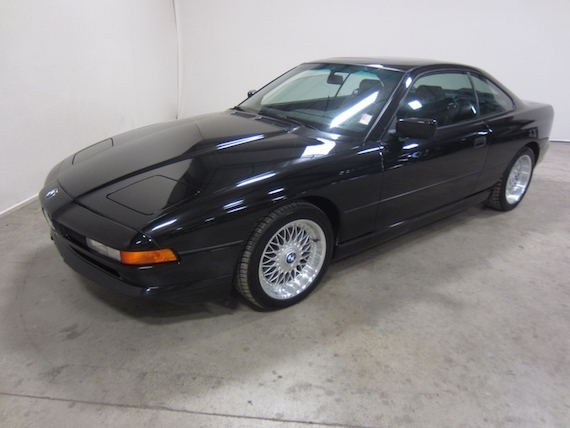 ADDITIONAL PHOTOS SHOWING THE FULL RESTORATION AND NEW HEATING CORE OF THE CAR ARE AVAILABLE. 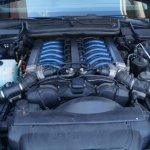 ENGINE AND TRANSMISSION HAS BEEN FULLY SERVICED AND RESEALED. 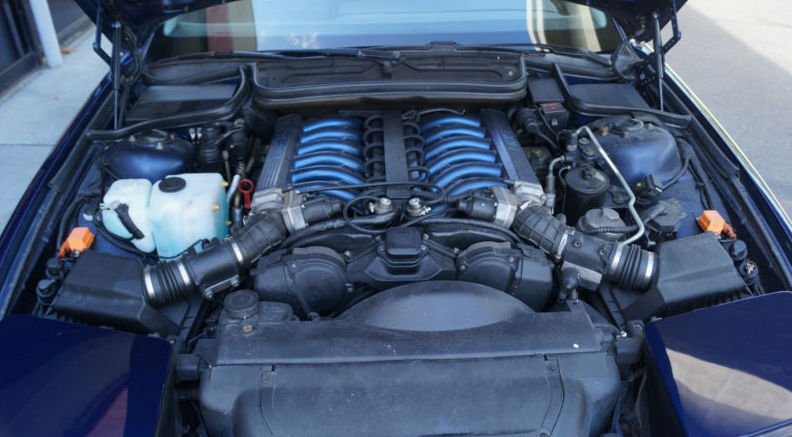 CAR HAS NO LEAKS AND NO MECHANICAL OR ELECTRICAL ISSUES. That is the most creative use of the divide in a 4-seater I’ve seen yet. 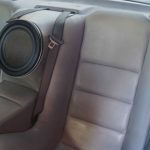 Sure, some cars have beverage coolers or writing surfaces, but this has a WOOFER. 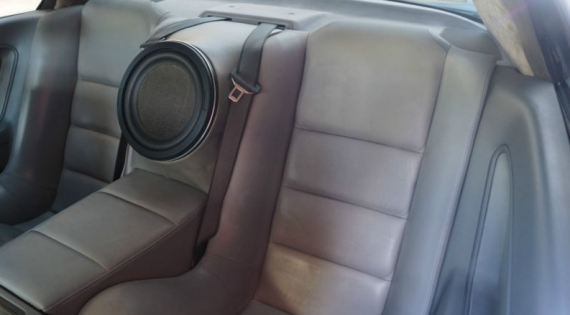 Despite wheels that may not be for everyone, an automatic, and questionable woofer placement, this is one of the most active auctions I’ve ever seen, with 45 bids at time of writing and plenty of time left. 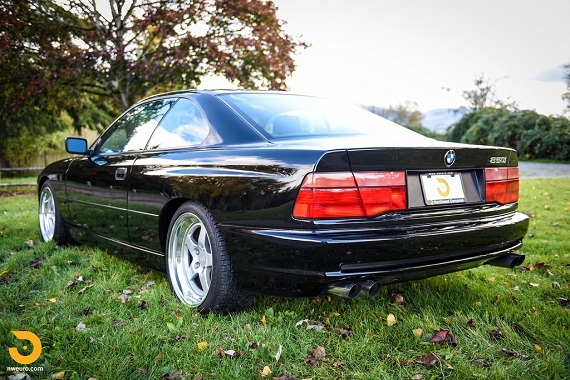 A pretty good indication that overall, despite a few head-scratchers, this is a very good value for a very pretty E31.